From $195 for up to 15 students. See below for the full cost scale. The supervision ratio is 1:10 for primary groups and 1:15 for secondary groups. Teachers and parents attend free of charge at these ratios. One carer per student with special needs will be admitted free of charge. 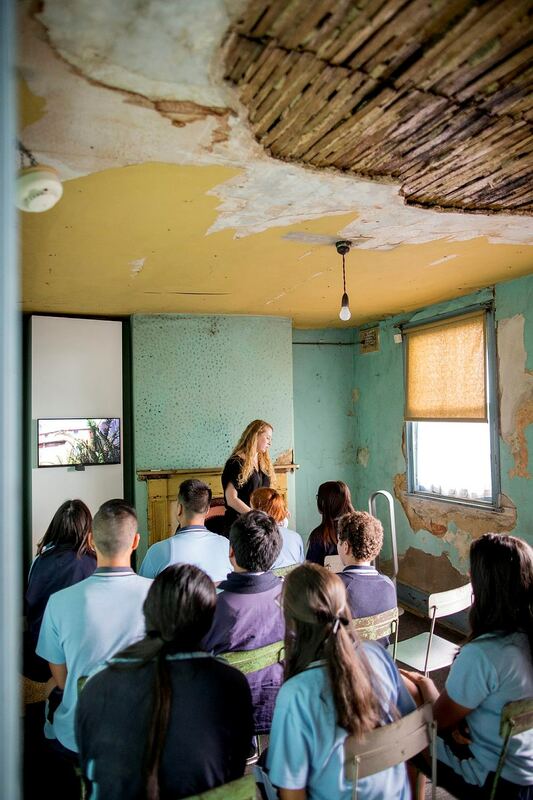 Students investigate the layered history of this terrace of four houses built in 1844 to learn about the processes of conservation, restoration and interpretation. They consider why curators have chosen to interpret particular time periods in the museum and how archaeology, oral history and documentary evidence have been combined. In the restored c1915 corner shop, students work like historians, using source material to reconstruct the shop’s history, assessing physical evidence, analysing documents and photographs, and listening to oral history extracts. They also watch a short film exploring the cultural significance of the site through the stories of children who once lived there, and see different examples of preservation techniques in use. 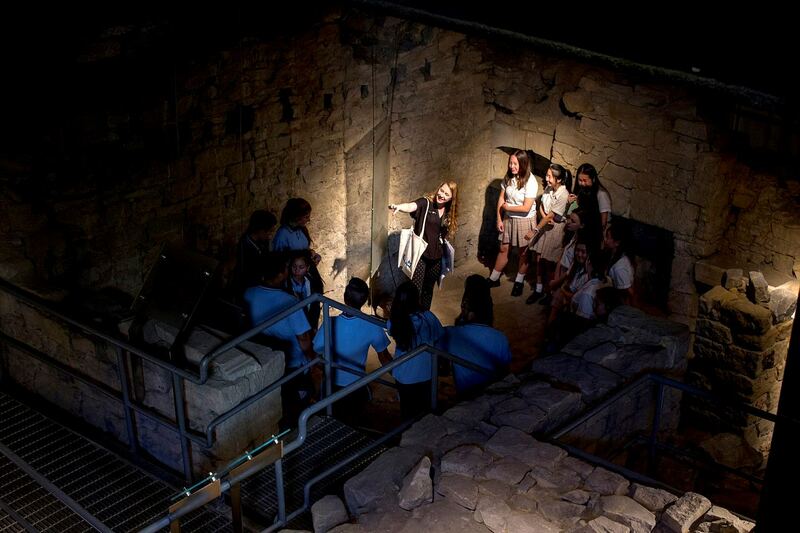 During the program students also visit Parbury Ruins – an archaeological site in The Rocks where the foundations of a cottage built between 1815 and 1823 are conserved beneath a modern building. While there students work in groups to practice their skills in historical archaeology; analysing physical evidence and documentary evidence in order to answer inquiry questions. 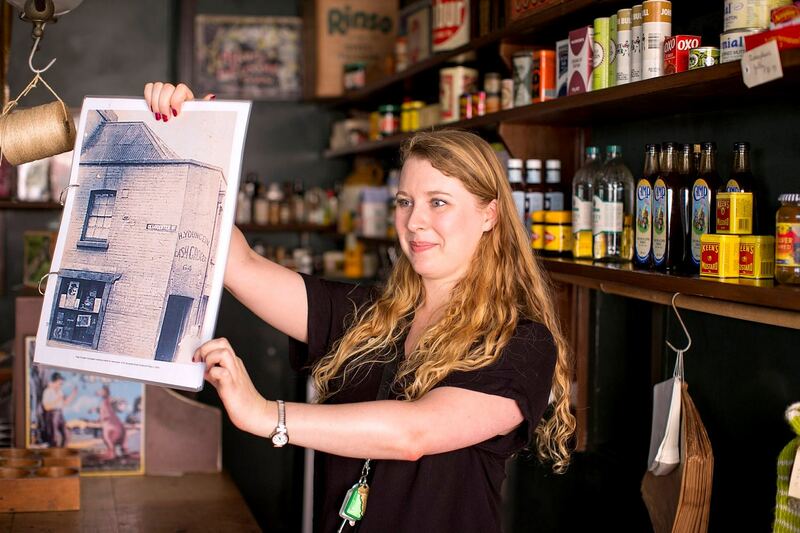 A member of the education team displaying a photograph of the corner shop (c1915), pointing out the previous owner in the doorway. Students exploring No. 60 at Susannah Place Museum. Students at Parbury Ruins, an archaeological site in The Rocks where they investigate foundations of a cottage built between 1815 and 1823. Students at Parbury Ruins working in a group to answer an inquiry question. 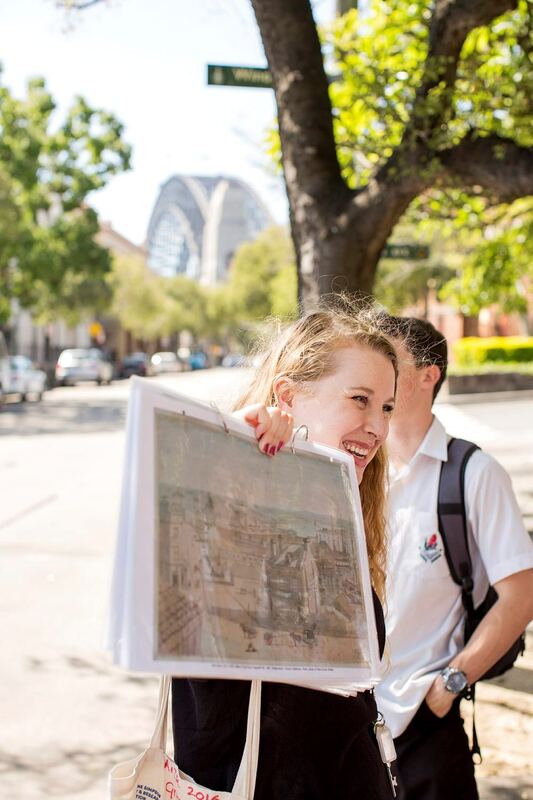 During the program student walk through The Rocks, using artworks, maps and newspaper extracts to understand how the area has changed over time. 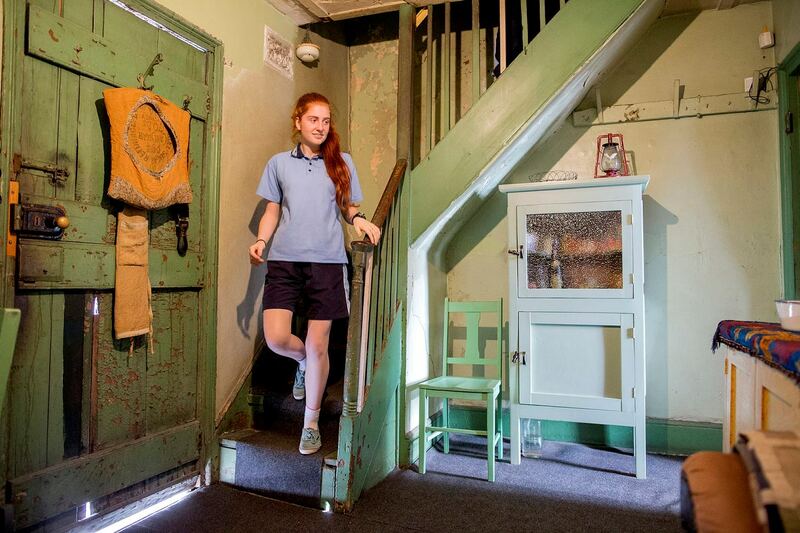 Susannah Place Museum gives students the chance to see conservation in action. Please plan to arrive before the start time of your booked program to allow for cloaking, toilet visits and/or a refreshment break for the students. If you arrive late, some elements and activities may need to be cut from the program to keep to the scheduled finish time. Bags, food and drinks are not permitted in the museums and cloaking facilities are provided. Photography policies vary between the museums so please ask a member of staff for details. Teachers and carers are required to remain with their groups at all times. Disciplining students remains the responsibility of teachers and carers accompanying the group. Please let us know before your visit if any of your students have special needs or learning difficulties so we can plan to accommodate their needs during the visit. The Archaeology in the Rocks program complemented the 'Investigating the Past: History, Archaeology and Science’ topic so well! 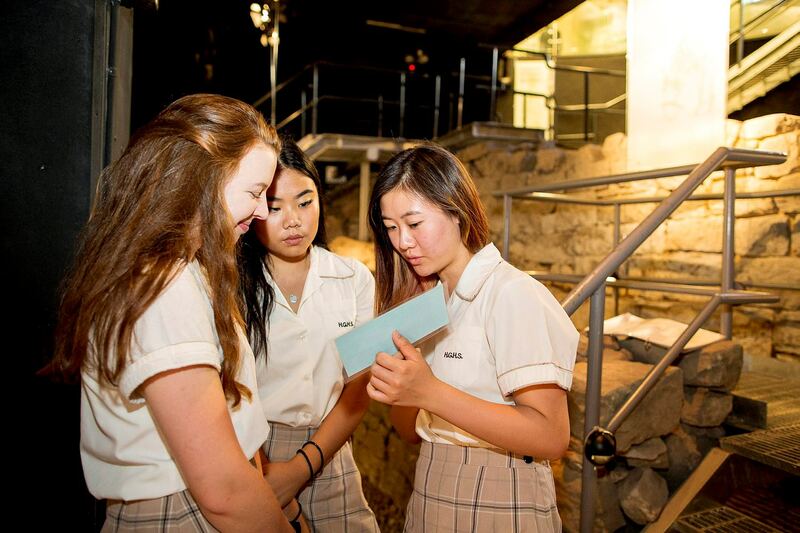 The Susannah Place Museum visit was a valuable and enriching experience for my Year 11 Ancient History students as they were involved in the practical, hands-on application of what they had learnt in class about the role of historians and archaeologists in investigating and reconstructing the past.